A selection of fully furnished offices is available in the heart of Essen. Provided with a full range of services and facilities, they benefit from this convenient location in this prestigious and dynamic area. There is administrative support/IT support, telephone answering services, conference/videoconferencing facilities and onsite parking. Just a short drive away, there are lots of hotels, a zoo, theme park and a botanical garden. In this modern and newly refurbished centre, this location offers modern and innovative office solutions to teams of any size – whether you are looking or a single desk or a private office for your team. This fantastically situated centre allows you easy access to public transport links. Right on your doorstep you will find the Grugahalle underground station - giving you access to the rest of the city. The centre also offers convenient on-site car parking, making your commute as easy as possible. For any business looking for a professional, tasteful environment in which to locate, this business centre provides the ideal location to promote business excellence. Just 15 minutes from Essens main railway station this prestigious workspace includes a range of business support services, an equipped kitchenette and a highly accessible, reserved underground parking that is secure for your convenience. This is a unique opportunity to rent office spaces within a stylish building, sophisticatedly decorated and designed with great attention to details. 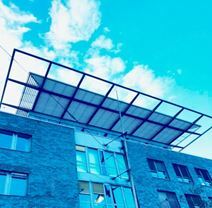 Thanks to its prestigious architecture, this impressive building offers a unique and elegant working environment which will definitely enhance the image of your business. Located in an important business district of Dusseldorf, these offices are surrounded by numerous companies and are well connected to the motorway, the airport and the railway station and served by various bus routes. 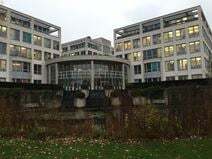 A selection of offices is available to let in Essen, one of the most important economic centres in Germany. The offices are modernly furnished and equipped to a high standard, provided with bright conference rooms and telephone and administrative services offered by a professional support team. Hosting leading companies and important offices, this area is excellently connected and easily accessible.